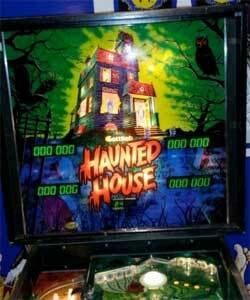 Check out these Gottlieb Haunted House Pinball Machines for sale. You will also find parts and accessories for current owners including the LED kit, rubber ring kits, decals, manuals, translites, flyers, sling shots, and ramps. 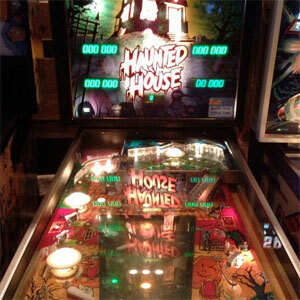 This gnarly game is part of Gottiieb’s System 80 lineup of pinball machines along with Volcano and Krull. Triple Playfields Mean Triple Fun!